Visit your neighborhood Handy Food Stores and pick up your Rewards To Go Card. Simply fill out the enrollment form and return it to any Handy Food Store associate for further benefits. Include your email address and cell phone number for personalized promotions. Your cell phone number can be used inside our stores in case you forgot your Rewards To Go Card. Register Online for additional Points! 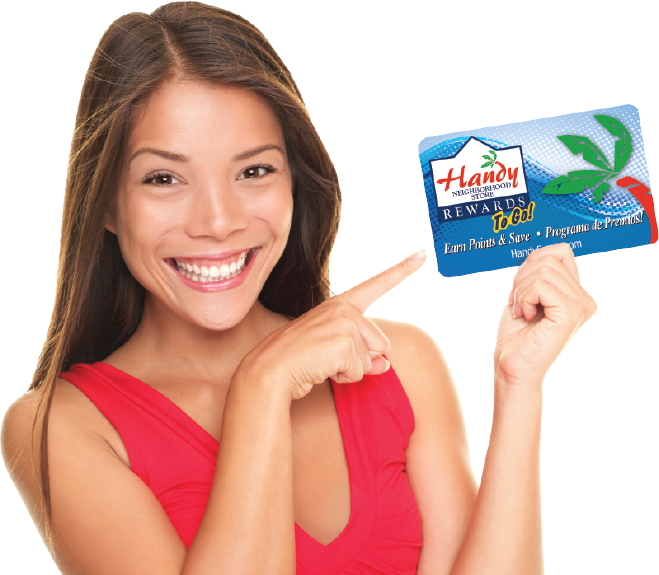 Begin using your Handy Food Stores Rewards To Go card immiediatly for special savings on Gas and other products!